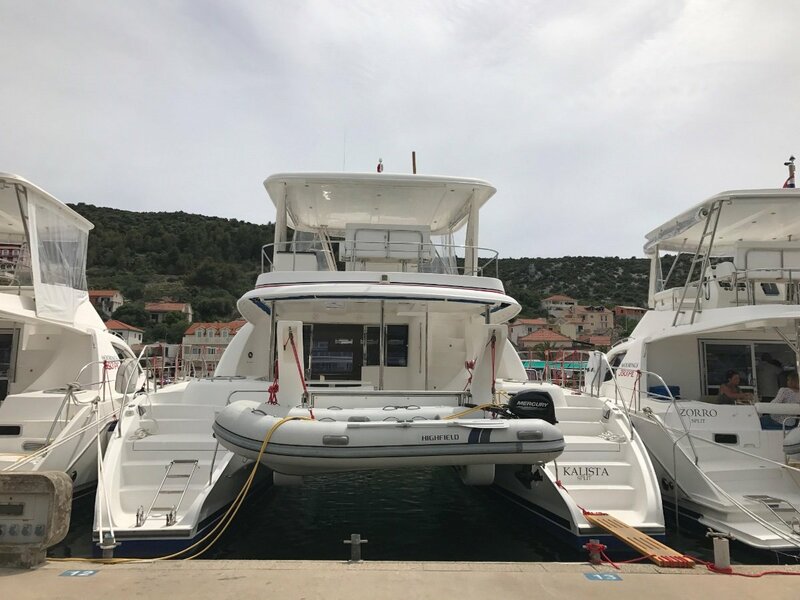 Leopard Power Catamaran 47 is currently moored in the popular Mediterrean cruising location of Croatia. 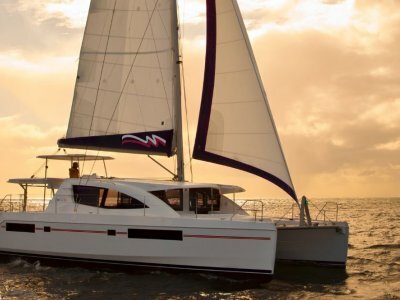 If you love entertaining, comfort, stability at anchor and underway, and above all quality this is the Catamaran for you. 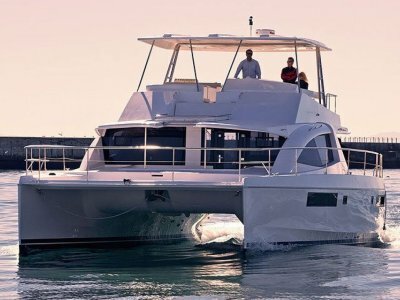 Designed by Morelli and Melvin, and launched in 2012 this vessel is a benchmark in Power Catamarans.. Her huge cockpit features a large aft dining table with plenty of seating, underneath a covered area making it practical for use no matter the weather. As you step inside you find a wonderful open plan living area, with a large dining setting, and galley, all on the one level. 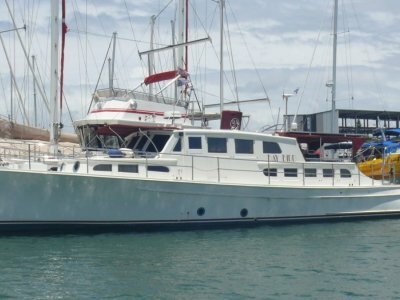 She has 4 generously sized double cabins, 2 on the port side, and 2 on the starboard side, all with their own ensuite bathrooms. 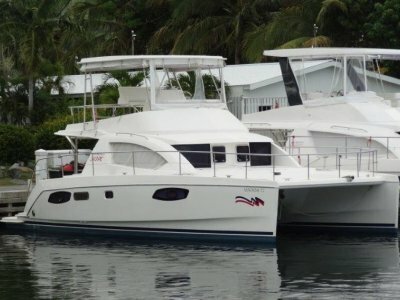 The flybridge features the helm station and another entertaining area. The flybridge features seating, sink and preparation table for food or drinks. This model is fitted with a hard top, with clears, allowing use of this space in all weather. The two reliable, and economical shaft drive Cummins diesel engines offer excellent performance and the peace of mind for long distance cruising. The cruising opportunities are endless, and the Leopard 47 Power Cat will allow you to make the most of those opportunities in style and comfort. Northern Lights Genset 9kW - fuel supplied by aft port tank with transfer capability. INTERIOR CONSTRUCTION/WOOD TYPE: Cherry panelite finishes with solid trims, walnut sole. Forepeak berth port including light & fan, accessed from deck hatch or through hinged door from forward cabin. GENERATOR MAKE: Northern Lights Genset 9kW - fuel supplied by aft port tank with transfer capability. Leopard 47 2012 Powercat "Kalista" offers great appeal, with the benefits of stability and fuel efficiency, and the volume of a catamaran hull. The Cummins engines are highly efficient power-plants. The design makes for a spacious, comfortable, and economical way to get out on the water. Large water and fuel tank capacities give her great range. The design and helm position make her easy to manoeuvre with great visibility.